Some Christians (and probably some other religious believers) seem to fear that science will undermine our appreciation of beauty. They worry that scientific knowledge will somehow diminish the feelings of awe or wonder we experience. It is almost as if they want to continue living in a world of magic and are troubled by the possibility that science will dis-enchant this world, ruining it for them. I don't know about you, but my experience has been the opposite. 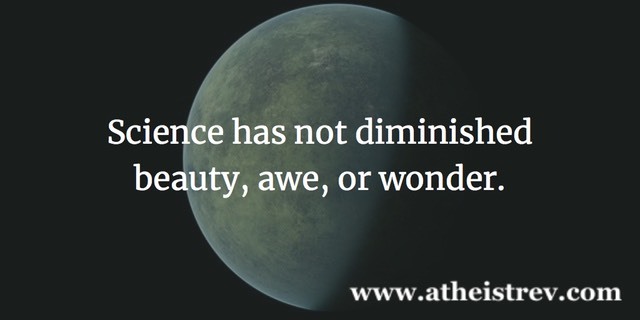 If anything, science has enhanced my experience of beauty, awe, and wonder. The more I have learned about the world around us, the more I have come to appreciate it. How about you?